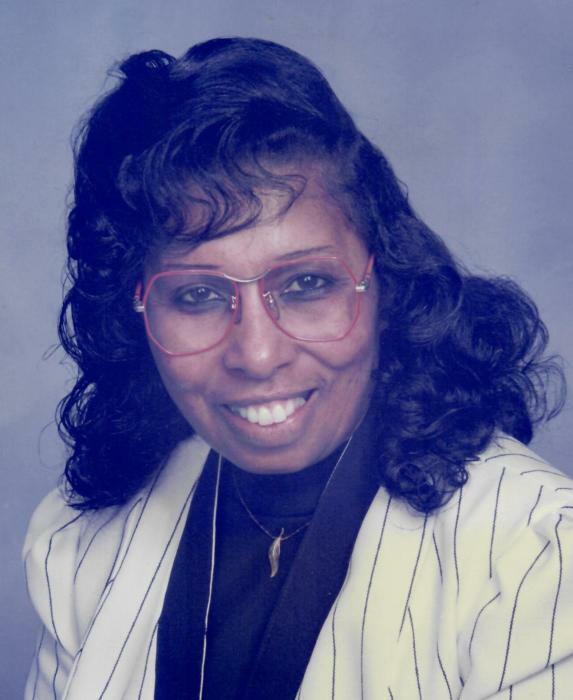 DEACONESS DORINE JONES, was born on December 17, 1937 to the late Edna and Roy Liverman in Edenton, North Carolina. Dorine received her formal education through the Edenton Public School System. Deaconess Dorine attended Nazarene Baptist Church. She then became a member of New Friendship Baptist Church for over 30 years. There, she served as an usher and a deaconess under the leadership of the late Pastor Ralph D. White. Later, she joined Spirit of Faith Deliverance Church Inc. Under the leadership of Dr. Steven L. Jones, Pastor. Deaconess Dorine was truly blessed. She departed this life on April 2, 2019. She was preceded in death by her parents, Edna and Roy Liverman, her loving husband, Rev. James M. Jones, Sr. of 42 years, her daughter Gwendolyn Epps, brother Grady Liverman, and sisters Emma Lee Liverman and Stella Liverman Dunbar. She leaves to cherish her memory five sons, Richard Honeyblue & daughter-in-law Mary, Charles Honeyblue, Anthony Honeyblue, Warren Watson Jr., and James M. Jones Jr.; five daughters, Clarice Joyce Ruff, Sheila Burgess, Darlene Young and son-in-law Darnell, Grace Richardson and Gloria Jones; one brother, Dennis Liverman and sister-in-law Marie; four sisters, Neva Brickhouse, Iona Alexander, Nancy Warren and Francis Blair; two sisters-in-law, Geneva Lyles and Mary Oliver; and a great host of grandchildren, great-grandchildren, nieces, nephews, cousins, relatives and friends. Deaconess Dorine Jones loved the Word of God and interceding for her family, friends and others. She was not just a giver, but was a blessing to everyone that she came in contact with. Deaconess Jones worked for the Memorial Episcopal Church in Bolton Hill for nearly 30 years. In addition, she provided care to a dear friend, the late Mrs. Delia F. Doll, widow of the 10th Episcopal Bishop of Maryland. After retirement, she owned and operated a licensed daycare called "Children of God Daycare" in her home from 2002 to 2014 where she took pleasure in caring for young children.